With a 12–1 record, Rousey walks the walk; she once won a fight in 14 seconds. She’s been demonstrating that brand of grit since the day she was born; her umbilical cord was wrapped around her neck, and the lack of oxygen caused a speech impediment so severe that she couldn’t make a clear sentence until she was six years old. But she fought through that challenge. When she was eight, she fought again to overcome her father’s suicide. “Everyone has the instinct to survive,” she told SELF. 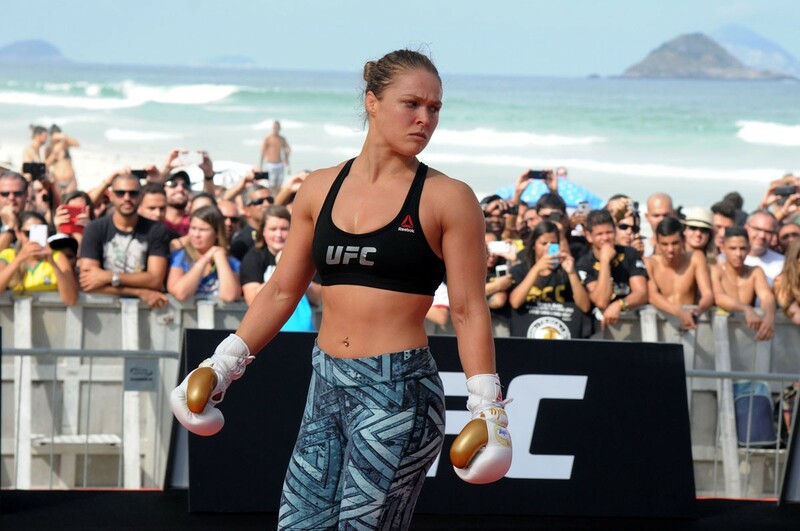 Rousey has appeared on the big screen, with roles in films such as Furious 7 and Entourage. She’s also sold the rights to her memoir My Fight / Your Fight and plans to produce and star in an anticipated feature film of the book. No doubt Ronda is training hard to regain her title after her surprising loss to Holly Holm, and we will all watch this exceptional and driven woman’s journey.